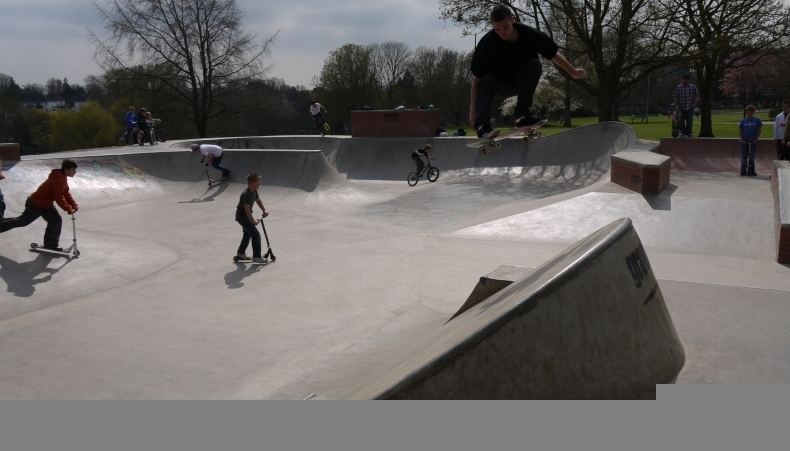 Keynsham skatepark was designed and built by Gravity and opened in 2010. 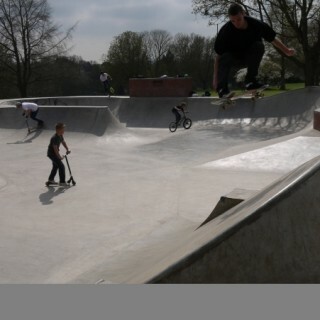 It can be found next to the church and is an all concrete park that mainly features transitions. 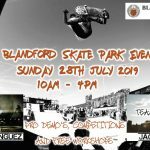 The main body of the skatepark takes form in the centre of the skatepark with a bowled area that is split down the middle with a spine and also has a large and small brick extension, taco and an oververt. Running around the outside is a small street course that features a stair set and brick ledges. 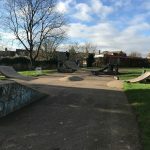 Keynsham skatepark is a nice local spot, especially if you like transitions. There are a lot of nice corners and bumps to pump around without having to push and the surfaces are super smooth making it great for people of all abilities. Keynsham train station: Exit the station onto Station Road and head west until The Park road is on your left. Take this road into the park and Keynsham skatepark will be in sight. Keynsham Church bus stop: Exit the bus onto the roundabout and head east until The Park road is on your right. Take this road into the park and Keynsham skatepark will be in sight. 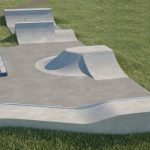 The Skateparks Project is Crowdsourced. 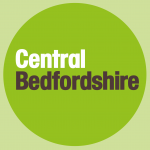 © 2015 Hyperlink Media Ltd.